What exactly will your PV Fit photovoltaic system comprise of? Here’s a break down of the main equipment we will supply…. PV panels (photovoltaic modules) – a number silicon cells, which generate electric current when exposed to sunlight, are linked together to form a solar module/ panel. We install Monocrystalline (mono) & Polycrystalline (poly) panels. Each panel has a rated output in Watts peak (Wp) e.g 250Wp. A number of solar panels are linked together in series form “strings” i.e. 10 x 250Wp panels in a string equals a 2.5kWp system. Mono solar panels are generally more efficient per sqm, therefore the panels will be smaller than the equivalent poly equipment, which is great if you are short on roof space. We will typically install your solar panels on top of your roof tiles, the number of panels depends on the roof space you have available, or your budget – find out more from our free solar survey. Each panel is approx. (h x w) 1650 x 900-1000mm and will weigh approx. 16-22kg each. We can offer any brand of solar module so dimensions and weights may vary depending on your preferred manufacturer, or the panel which best maximises your available roof space. We can offer you wide range of solar panels brands, all of which are Microgeneration Certification Scheme certified. Some will offer you better cost benefits, others may have a slightly more attractive performance warranty, or you may just prefer the aesthetics of a particular panel – we’ll leave the choice to you! 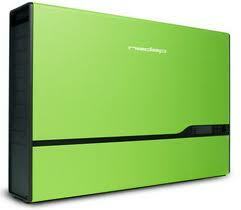 Solar Inverter – your solar panels will produce direct current (DC) electricity. A solar inverter is installed inside your home close to your PV panels, usually in the loft, which will convert your solar electricity into Alternating Current (AC). The electricity can then be used to power your electrical appliances, or be exported back to the mains grid. The inverter is silent in operation and takes up little space. We feel quality and performance are crucial to maximise your return on investment, which is why we offer Nedap PowerRouter inverters. The PowerRouter comes with a 5 year warranty as standard, which you can upgrade to 10 years if you require greater peace of mind. Nedap inverters come with built in web monitoring, which allows you to keep track on how your pv system is performing in real-time from anywhere in the world. The web portal has a number of “widgets” offering you different reports including; how much you have earned, how much you have generated, the performance of each string and even your grid voltage! The PowerRouter is smart. It can be installed with a battery back up system in order to maximise your savings from the grid. If you don’t want batteries straight away don’t worry, you can always expand your powerrouter at a later date. Remote monitoring allows PV FIT engineers to keep track on your systems health without having to visit your home. We will automatically be informed if there is a fault, and can resolve over vast majority over your internet connection, protecting your income! 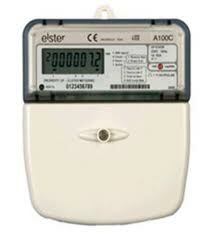 Generation Meter – In most cases you can keep your existing electricity meter minimizing disruption and cost. We will install a “generation meter” which monitors how much energy your solar panels have generated. The generation meter is a standard Ofgem approved meter, which will allow you to report the amount of energy you have generated when claiming your feed in tariff from your energy supplier. In addition to the main components, we will supply and install roof mounting, cables and electrical connections. All equipment will be delivered as a full kit prior to your engineers arrival. For more information on what else is involved see installation. 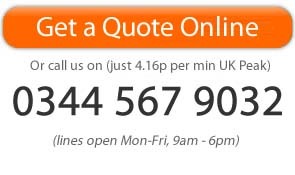 For more information and a FREE 20 minute solar survey over the phone contact us today by calling 0344 567 9032.